Don't Like Your Teeth? 5 Reasons To Get A Smile Makeover! Hello Bozeman! When you look in the mirror, do you like what you see? If the answer is, ‘Not really,’ then you may want to consider these 5 great reasons for people in Belgrade to make some small improvements or undergo a complete smile re-design. 1. A little goes a long way. Some of the most popular cosmetic dentistry procedures, such as teeth whitening and tooth-colored fillings, are simple but have dramatic results. 2. It’s more affordable than you think. Speak with your Big Sky, Belgrade, or Bozeman cosmetic dentist. You may be surprised at the prices (in a good way!). 3. Your dentist will keep you comfortable. Many people worry that the procedures are painful, but dentists in the Big Sky area can help you stay relaxed and free from discomfort, whether you’re getting tooth-colored fillings, dental implants, veneers, or a complete smile makeover. 4. You will look and feel younger! 5. Regardless of your dental problems, chances are, your dentist can help you. Some Belgrade, MT, residents believe they have to live with stained, chipped, cracked, crooked, or missing teeth, but today’s dentists have the tools and procedures to fix all of these dental problems and more. If you are in the Bozeman area and are looking for a dentist, I would love to serve you. My name is Dr. Gabriel McCormick. 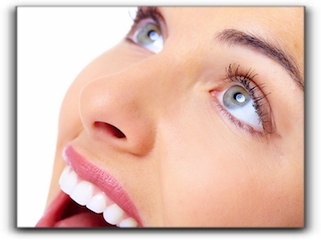 I practice quality cosmetic dentistry in Bozeman, MT. Please call 406-586-7661 for an appointment.